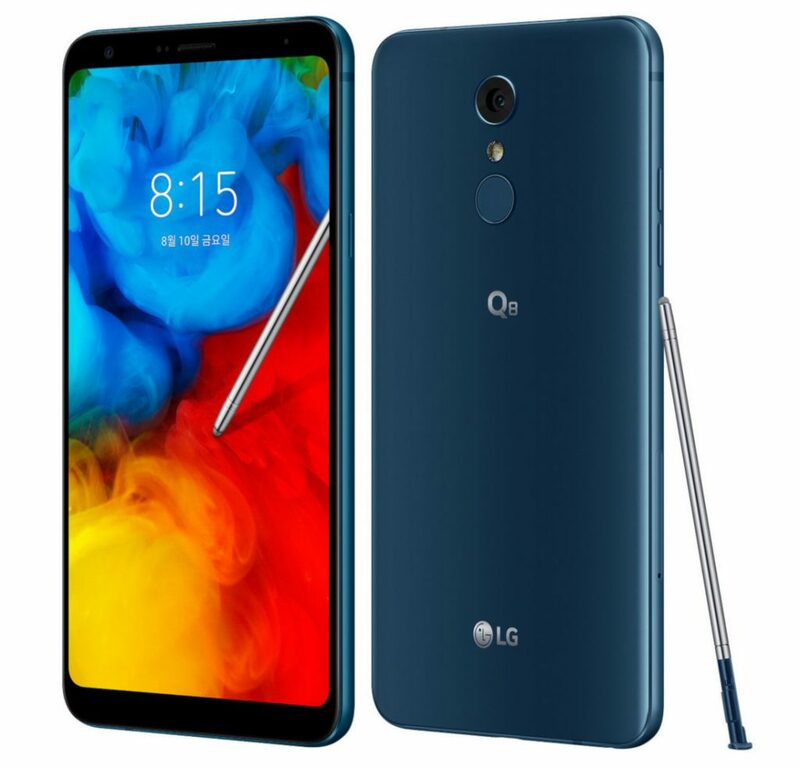 LG has announced new Q8, the company’s latest smartphone in the ‘Q series’ soon after the introduction of Q7. It has the same 6.2-inch FHD+ FullVision Display, is powered by an Octa-core Snapdragon 450 SoC with 4GB of RAM, runs Android 8.1 (Oreo), has a 16-megapixel rear camera and a 5-megapixel front camera. It also comes with built-in stylus with pop-memo, GIF editing and more. It has military grade durability with MIL-STD 810G and is also IP68-certified for water and dust resistance. It also has Portrait mode, QLens, Hi-Fi quality audio, DTS:X 3D Surround Sound, and comes with Hi-Fi Quad DAC. It has a fingerprint sensor on the back, and a 3300mAh battery with support for Qualcomm Quick Charge 3.0. The new LG Q8 comes in Aurora Black and Moroccan Blue colors, is priced at 539,000 won (US$ 470 / ₹ 32,869 approx.) and will go on sale soon starting from Korea.